Your donations make miracles happen! H.E.A.R.T. is a 501(c)3 organization, EIN#37-1522742. 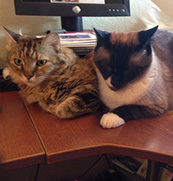 The Help and Education for Animal Responsibility Team (H.E.A.R.T.) 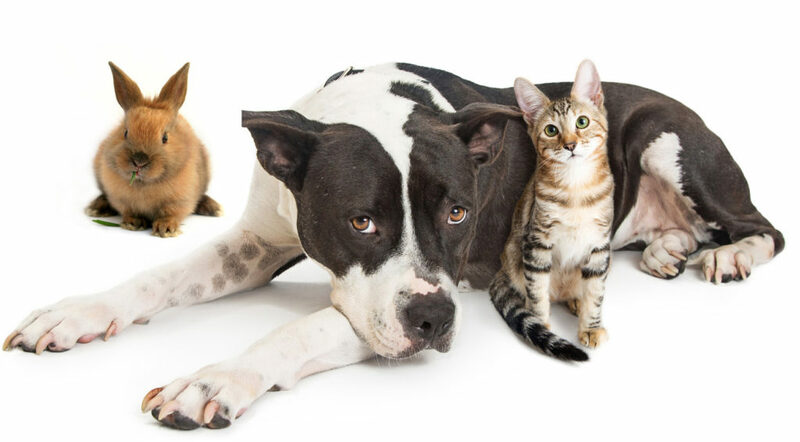 was formed in 2006 by a group of shelter volunteers and employees who wanted to improve the care of the Chula Vista Animal Care Facility (CVACF) animals and assist our pet owning community. H.E.A.R.T.’s dedicated volunteers support veterinary, medical, adoption, community education, and spay & neuter programs in Chula Vista, National City, and Lemon Grove. We’re helping the needs of the thousands of unwanted animals that enter the facility. Our Mission: To assist in the health and welfare of animals at the CVACF and to promote responsible pet ownership in our community. We improve animals’ quality of life by helping with needed care, sponsor and promote spay/neuter programs, increase adoptions, decrease euthanasia, and collaborate with other organizations to aid in animal welfare. President / Treasurer – Dr. Dorothy York has been a veterinarian for over 30 years. She is currently the licensing veterinarian for the Chula Vista Animal Care Facility’s Spay Shuttle. Her passion is pets – and with them…comes responsible pet ownership and care. Meet Lucy. 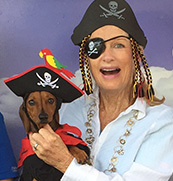 Dr. York loves spending time with her rescued mini dachshund, Lucy. They love doing fun things together and being animal ambassadors in the community. Vice President – Paula has actively been associated with the Chula Vista Animal Care Facility and the HEART organization for many years. She manages HEART’s philanthropy efforts and donations, as well as communications and outreach. She’s proud of the impression the organization has made on the community! Secretary – Jeanette is a Registered Veterinary Technician with over 30 years of clinical experience. She has been a teacher for more than 15 years, and is the former Director of Veterinary Programs for Pima Medical Institute’s Chula Vista Campus. She managed Veterinary Assistant volunteers at the CVACF for 10 years. Meet Eureka. 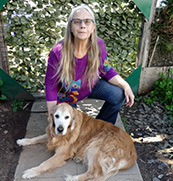 Jeanette’s free time is spent with her Golden Retriever, Eureka. Eureka enjoys being wherever her humans are and stockpiling her favorite woobies (stuffed animals). H.E.A.R.T. of the Chula Vista Animal Care Facility was recently recognized for our transparency with a 2018 Gold Seal on our GuideStar Nonprofit Profile! Follow Us on Facebook to find information on the latest events and news - and please like our page while you're there! © Copyright H.E.A.R.T. of the Chula Vista Animal Care Facility | A 501(c)3 organization, EIN#37-1522742. Donations are 100% tax deductible.